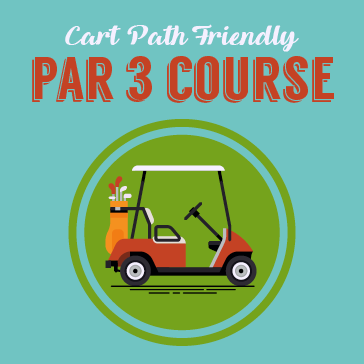 Come play our cart path friendly Par 3 contest! Play 18 Par 3's that are set up to minimize excessive walking. All holes will be 150 yards or less and you rarely have to leave the cart path. Plus, you get a chance to win a price every time you participate. Weekly and monthly prizes will be awarded based on paricipation. Don't miss out on the fun just because of a little rain.